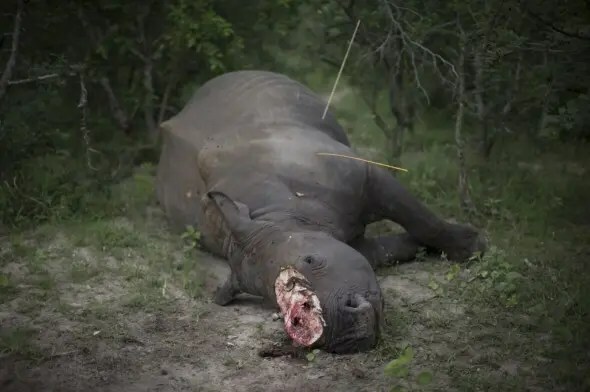 British photographer Richard Humphries, who recently won an award for his graphic photographic portrait of “South Africa’s Rhino War”, describes the poaching scenes he witnessed in the Kruger National Park as nothing less than a “full-on war”. Richard has a history with South Africa, having lived in the country, with his wife Jill, for three years from 2009 to 2012 (and they “LOVE it”), but when he visited earlier this year, from their new base in Malaysia, he was shocked by what he came across. Richard told SAPeople that he returned “for a visit with the intention to explore the Rhino story while I was there. 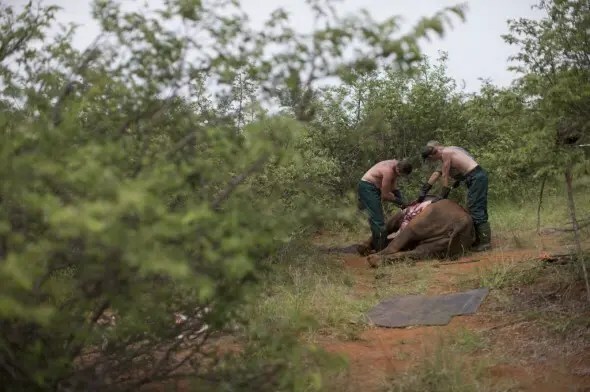 He cites Limpopo and Mpumalanga province as representing the front line of this Rhino War, with the small town of Hoedspruit – where he was based with Protrack anti-poaching unit – as being the “Forward Operating Base” for anti-poaching teams, thanks to its proximity to the Kruger. Richard’s award-winning photos were all taken in January and February this year in the Kruger Park area…and reveal some of the true horror of the poaching that is driving a species to extinction. A record 1,004 rhinos were killed in South Africa in 2013, up from 668 in 2012, a 50 per cent increase in just one year. If this trend continues in 2014 we will reach the tipping point for Rhinos by the end of the year. By the end of 2014 we will start to be in the negative in terms of deaths and poaching outstripping birth, and the population will start to decline very quickly. According to the 2013 IUCN Red List the Southern White Rhino is near threatened and the Black Rhino is critically endangered. A seemingly insatiable demand for Rhino horn from the medicine markets of Vietnam and China is feeding this madness. 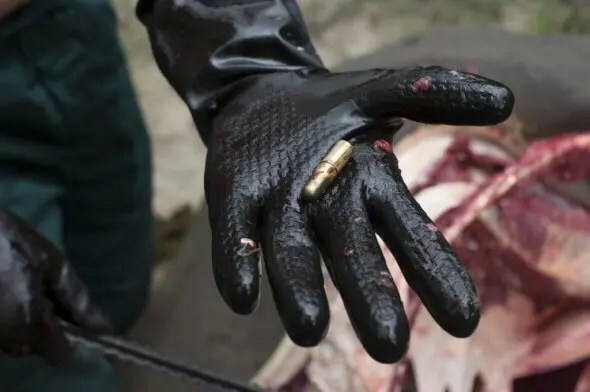 Driven by a common belief in Asia that ground-up rhino horns can cure cancer and other ills, the trade has been embraced by ruthless criminal syndicates that normally traffic drugs and guns, but have now branched into the underground animal parts business because it is seen as a low risk, high profit enterprise. Rhino horn is now worth more than gold and cocaine on the black market. View more of Richard Humphries’ award-winning “South Africa’s Rhino War” photographs here. Police warn fishermen who are illegally poaching shad during the closed season. A picture of shad confiscated by Ezemvelo KZN Wildlife officers. According to the organisation, officers confiscate between 30 to 80 shad per patrol. THE illegal overfishing of shad along the Durban North and uMhlanga shoreline is continuing despite the season being closed. Hundreds of fishermen have ignored the law and have been fined and arrested along various beaches said Lt Raymond Deokaran, spokesman for the Durban North police station. The most popular spots are the Shipwreck Beach (La Lucia), Glenashley Beach and Peace Cottage (uMhlanga). The shad season closed on the 1 October and ends on 30 November. “Fishermen are still taking the chance and are illegally fishing for the shad. We have fined a number of them, but it still hasn’t deterred them. 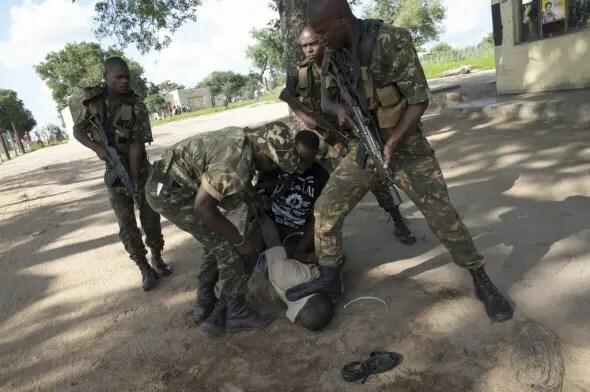 If you are caught with 10 or more shad, there is no bail, you are arrested and will appear in front of a magistrate and you will be left with a criminal record,” he said. Approximately 60 per cent of all fish caught by shore anglers on the KZN coast are shad. In an interview with Northglen News in October, Basil Pather, conservation manager at the Beachwood Nature Reserve, highlighted the plight of the sought after fish, saying the overfishing during the closed season was ‘killing’ the species. “At the moment we have a situation where there’s a dwindling number of shad catches during the open season and anglers are illegally catching more shad during the closed season, which in turn affects the population. As a result we are compromising the breeding stock,” Pather said. DLERAY BEACH, FL, Nov. 3, 2014 (GLOBE NEWSWIRE) — To celebrate the successful conclusion of Lion World Travel’s#ShareIfYouCare social media campaign, the company will donate $10,000 to the Endangered Wildlife Trust in support of their rhino conservation efforts. This donation is being made through The TreadRight Foundation, a not-for-profit organization operated by The Travel Corporation and its family of travel brands, including Lion World Travel. The yearlong #ShareIfYouCare social media campaign was designed to raise awareness about the drastic increase in rhino poaching in South Africa over the past decade. The Endangered Wildlife Trust is one of the multiple projects supported by The TreadRight Wildlife Initiative, launched earlier this year and focusing its support on the fight against wildlife crime. South Africa’s rhino population faces an unprecedented and increasing threat from poachers. While a decade ago approximately 25 rhinos were killed as a result of poaching in South Africa, that number has grown exponentially and last year more than 1,000 rhinos were killed. The Endangered Wildlife Trust’s Rhino Conservation Project implements interventions at several stages in the poaching and wildlife trade chain. The contributions of Lion World Travel and The TreadRight Foundation aid the Endangered Wildlife Trust in its care for orphaned baby rhinos, poaching and smuggling deterrent efforts, as well as delivering rhino conservation resource materials and support for landowners and reserve managers. Lion World Travel is the leading tour operator from North America specializing in group and individual tours to Southern and East Africa, and is a member of the renowned Travel Corporation, which also includes: Trafalgar Tours, Contiki, Brendan Vacations, Insight Vacations, The Red Carnation Hotel Collection and Uniworld Boutique River Cruise Collection. In its 50th year, clients continue to benefit from Lion World Travels’ destination knowledge, expertise, and emphasis on customer service. With their safari specialists all having first-hand knowledge of Africa, Lion World Travel can confidently assist clients in creating an African adventure that fits their specific interests as well as their budget. Extraordinary service, affordable luxury and value for money are what keep clients coming back to Lion World Travel. At Lion World Travel and parent company The Travel Corporation, we understand that travel matters; it allows us to explore the world and gain a deeper understanding of each destination, its history and culture, through enriching experiences. We also recognize that it is our responsibility to help protect the places we visit and take care of the world around us. Created as a joint initiative between The Travel Corporation’s family of brands, The TreadRight Foundation is a not-for-profit that works to help ensure the environment and communities we visit remain vibrant and preserved for generations to come. To date, TreadRight has donated more than USD 2.5 million to sustainable tourism projects worldwide. Lion World Travel is proud to be an active founder and supporter of TreadRight’s projects and work. Go to www.lionworldtravel.com/about-us/social-responsibility to learn more. Legal ivory sale will create grey market – IOL SciTech | IOL.co.za. Cape Town – South Africa’s probable application to sell its ivory stockpile in a new “one-off sale” in two years will face increased opposition, from within the country and internationally. l A symbolic burning of mock “ivory” at a Cape Town beach to mark International Elephant Day this week. l The destruction of ivory in several countries like the US, France and China in the past year. l The banning of all ivory and rhino horn trade from this month by the US states of New York and New Jersey. l The publication of a peer-reviewed essay in the scientific journal Conservation Biology that calls for a ban on all ivory sales for at least 10 years – including antique ivory. Also, mounting concern about ivory poaching has been fuelled by confirmation by SA National Parks in May that the first elephant poached for its tusks “in well over 10 years” had been killed in the Kruger National Park, followed by a second last month, also in the northern Pafuri region of the park. In October 1989, elephants were listed under Appendix 1 of the Convention on the International Trade in Endangered Species (Cites), which effectively banned all trade in this species, including ivory. Although the animals were “downlisted” to Cites Appendix 2 during a meeting in the Netherlands in July 2007, meaning trade in elephant products was allowed under permit, a moratorium on ivory sales was maintained, pending development of internationally agreed safeguards to prevent poached ivory from being laundered. Since then, there have been three controlled “one-off” ivory sales by elephant range countries sanctioned by Cites: 49 tons in 1997; another 60 tons in 2006; and a further 108 tons in 2008, where Japan and China were accredited to bid for ivory from South Africa (51.1 tons), Botswana, Namibia and Zimbabwe. A nine-year ban on any further trade came into effect after this sale. In July last year, the cabinet took a firm decision to seek permission from Cites for a further one-off sale of South Africa’s ivory stockpile from natural mortalities and seized contraband, and will apply at the convention’s 17th Conference of Parties in South Africa in 2016. However, the government also said it would listen to all arguments before formulating its final application to Cites. At a news conference this week to announce the cabinet’s approval of new initiatives to counter rhino poaching, Environmental Affairs Minister Edna Molewa reminded journalists of the government’s policy of sustainable utilisation. In theory, this supports the commercial use of all animal products, including ivory and rhino horn. The government’s view is that the substantial funds generated by ivory sales can be ploughed back into conservation. Also, a legal supply will sharply reduce demand and price for poached ivory, this argument goes. The same applies to rhino horn. But a strong conservation lobby argues that this doesn’t work in practice. The “Cape Town Burn” event was organised by the Conservation Action Trust, which says elephants may face extinction in the wild and that at least 20 000 of them were killed for their tusks last year. The influx of legal ivory into the main market in China “simply… created a grey market”, said the trust’s Francis Garrard. In her essay in Conservation Biology, Elizabeth Bennett, the vice-president for species conservation at the New York-based Wildlife Conservation Society, says the illegal ivory trade has more than doubled since 2007 and that African elephants are facing “the most serious conservation crisis since 1989”. In 1979, there were an estimated 1.3 million African elephants, but today there are just 470 000 – and some authorities estimate a much lower number, says the Kenya Elephant Forum. Cites (Convention on International Trade in Endangered Species) identified eight countries last year as the worst offenders in the illegal ivory trade chain: supply states Kenya, Tanzania and Uganda; consumer states China and Thailand; and transit countries Malaysia, Vietnam and the Philippines. l At an event in Denver in November last year, the US Fish and Wildlife Service used a gravel crusher to destroy six tons of illegal elephant ivory tusks, trinkets and souvenirs seized over 20 years. l In January, more than six tons of illegal ivory was chipped and ground into powder in Guangzhou, China. l In February, France became the first European country to destroy its stocks of illegal ivory, crushing three tons of ivory at a Paris site in the shadow of the Eiffel Tower. l In May, a burning in Hong Kong marked the first stage of the government’s plans to destroy its 28-ton stockpile of ivory confiscated over years.